A Clean and Finished look! 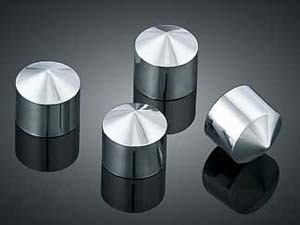 7254, 7257: Take your motor to the next level with the hottest head bolt covers around. Featuring a stepped & slotted design with faceted edges to catch & reflect light for an incredible shine. Installation takes just minutes using four set screws per cover for a secure fit. Chrome or wrinkle black. 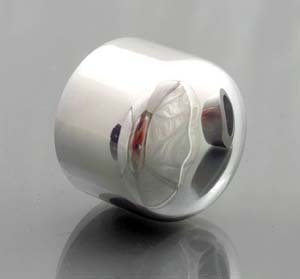 NC Chrome Nut Covers: Machined from Billet Aluminum and triple chrome plated, these axle nut covers give a custom and finished look to the front forks. 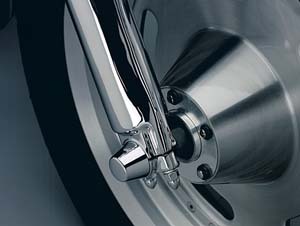 They slip over both ends of the axle and stay securely in place with set screws. Fits 2000 through '07 Touring Models. 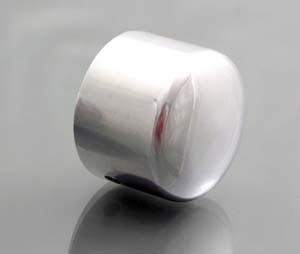 NC Aluminum Nut Covers: Machined from billet aluminum and triple chrome plated, these axle nut covers give a custom and finished look to the front forks, to match the stock forks. They slip over both ends of the axle and secure with set screws. They are polished to a satin finish to match the factroy front forks finish. Fits 2000 through '07 Touring Models. 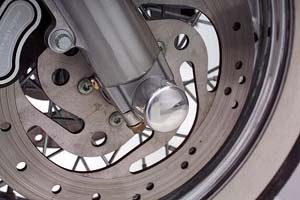 HK-C01: These sleek axle caps blend nicely with virtually all H-D front forks. These fit up close to the sliders with no unsightly gaps. Fits '94 to '99 Touring Models. 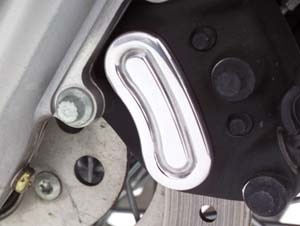 HK-C13: These sleek axle caps blend nicely with virtually all H-D front forks. These fit up close to the sliders with no unsightly gaps. Fits '00 to '07 model years. 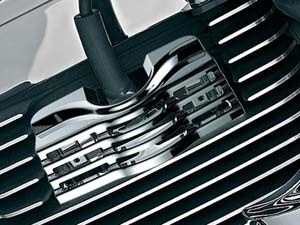 HK-C14: These sleek axle caps blend nicely with virtually all H-D front forks. These fit up close to the sliders with no unsightly gaps. Fits '08 to current Touring Models. 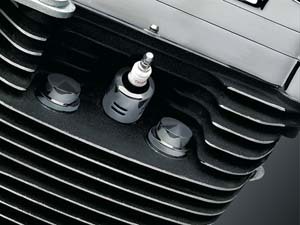 HC-C06: The peaked, low profile headbolt covers hide the whole bolt head. Set of four. Fits '87 to current Touring Models. RB-C72: Cover up those plain zinc plated stock rocker box bolts! Our Peaked Rocker Box Bolt Covers are the final touch that makes the difference. 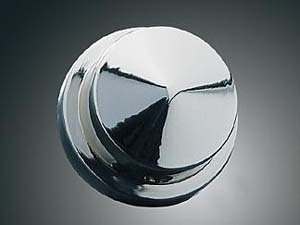 Chrome plated aluminum billet construction with simple push on installation. Fits '99 - '08 Twin Cam engines. Note: Sold in sets of 4. Some bike models may require more than one set to cover all visible rocker box bolts. CC-C75: These front and rear billet aluminum caliper covers hide most of the unsightly black and add an eye catching accent to the brake caliper. 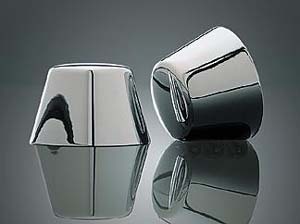 Long lasting triple chrome plated. They attach easily and securely with 3M VHB double faced tape. Fits front and rear brake calipers on 2000 and Newer Touring Models. Sold individually, be sure to order correct amount for front and/or rear.